Time to choose sides. Half of this cool Captain America: Civil War Whose Side Funky Chunky Magnet boasts Cap's images and colors while the other half supports Tony Stark's Iron Man. 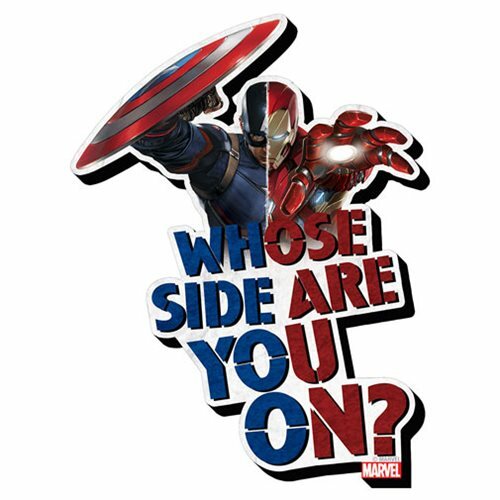 The magnet asks, "Whose Side Are You On?" Measures 4 1/4-inches long. Ages 13 and up.